Every nation has its own classification system for artillery: light, medium, heavy; field and siege; battalion, division, corps and army – the list is endless. But they all tend to break out with similar sizes and functions. At the lower end – usually brigade or division – the desire is a gun of 75-105mm of 2-2.5 tons weight and with a shell throw weight of 12 to 35 pounds. All of these weapons have ranges of 10-13 kilometers. They can be used on the front line in direct fire mode (not usually recommended) or for indirect fire 7-10 kilometers deep into the enemy rear areas. 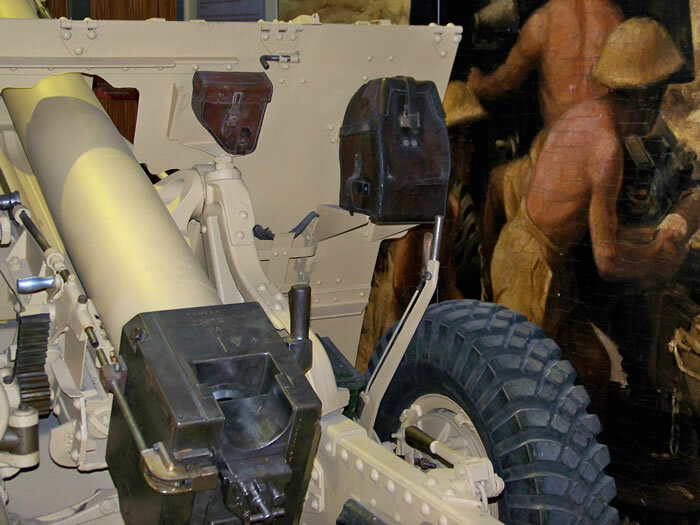 The British Army’s first 20th Century weapon was the 13-pounder - a light and handy weapon which could be swiftly moved by horse drayage and fired very rapidly for short periods of time. But its throw weight of only 13 pounds of high explosive fragmentation projectiles was considered too light for effective bombardment. A slightly heavier weapon, the 18-pounder, was introduced at the same time (1904) and served as the standard field gun into the mid 1930s. But as technology passed it by – and more lethal and longer ranged projectiles were needed – at that time a new gun was developed, the 25 pounder. While its design had started in 1925, due to the efficiency (and prevalence) of the 18 pounder it was not until 1935 it was fielded. 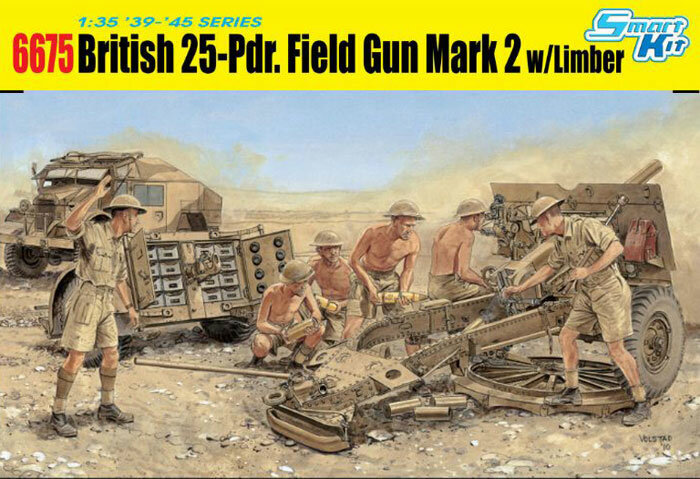 To save money during that time, the new barrels were mounted on redundant 18-pdr carriages as the Ordnance QF (quick firing) 25 pdr Mark I. 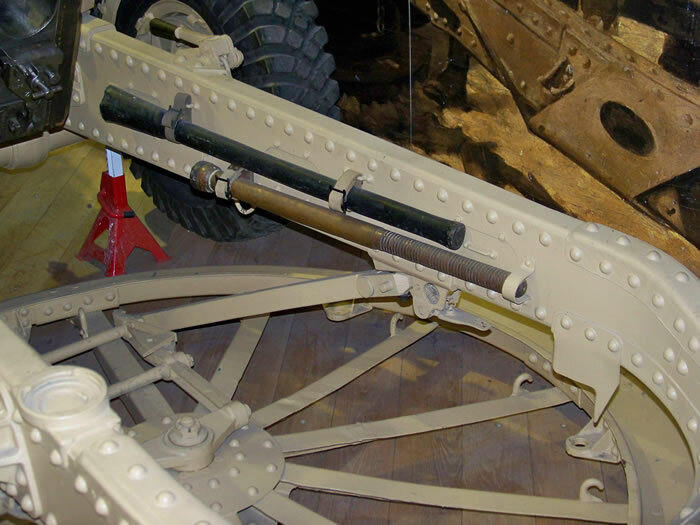 But due to the design of the lower carriage, the gun could not be elevated high enough to get full use out of its capabilities. So a new carriage with box trails and a large opening between them (which would permit sufficient elevation and traverse) was designed, combined with a special platform that would permit 360 degree rotation within a set position. This became known as the Ordnance QF 25-pdr Mark II on Carriage 25-pdr Mark I. This wound up being the mainstay gun of the Royal Artillery during WWII and into Korea and beyond. More than 12,000 were built, and they were used in all theaters of operations. Later, when it demonstrated some capability as an antitank gun, a double baffle muzzle brake was fitted to cope with the increased charge and recoil. It was normally coupled to the Artillery Trailer No. 27 Mark I or later models. 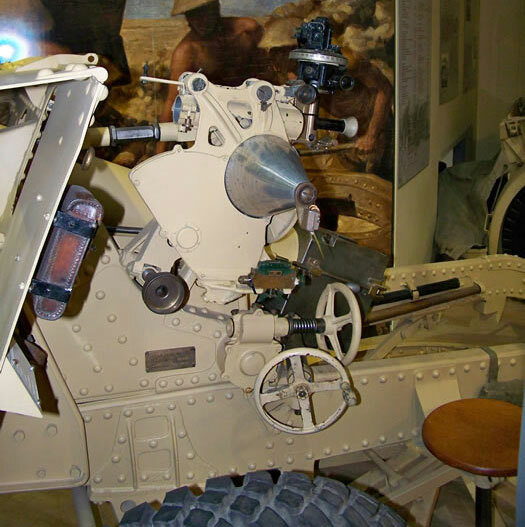 This limber, in its 25-pdr version, provided stowage of up to 32 rounds of ready ammunition in two round trays. While the ammunition was nominally separate loading, it could be stuck together just before firing. Crew of the gun was five or six: one aimer, three or four other numbers for ammunition, and a gun captain. Over 35 years ago, Tamiya released three kits in quick succession: 35044, a complete 25-pdr, limber and Ford “Quad” gun tractor plus a driver and crew of five; 35045, the “Quad” and driver as a separate kit; and 35046, the gun, limber and crew as a separate kit. This was basically a “diorama in a box” and quite popular at the time, but as the years went on it began to look more and more toylike. The same was true of its crew: as Tamiya was found to use rather small models, their figures were all found to be stocky and around 5'2" tall when scaled up. Anyone who has seen one of these kits win at a model show usually has noted how much work it took the modeler to bring the kits up to date. DML has now offered a change of pace from a long string of German fare with a bright new kit of the Mark I and its No. 27 trailer, along with a new crew of six. 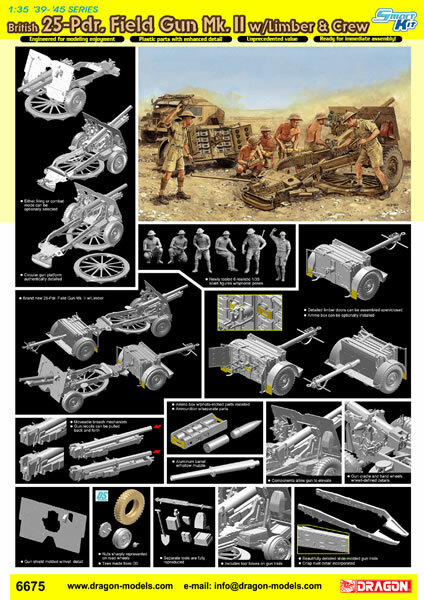 The research on this kit and its dimensions were taken from the display examples at “Firepower”, the Royal Artillery Museum at Woolich. From what I can tell from comparing the photos to the 1/1 scale example, DML appears to have hit all the marks. The lower carriage and wheels are nicely detailed, and the complex shapes of the prototype are captured. The only thing missing from the kit here is the coil of rope that was to be hung off the front of the gun shield. Gun spikes (B21/23), the shovel (B18), a spare rammer (A13) and mattock (A26) are provided. Note the upper gun shield can also be shown up or folded; the gun shield itself is molded credibly thin and free from ejection pin marks. Steps 5 and 6 are an either/or proposition, as they cover firing and transport modes for the gun. In “Firing” part A16 is used to attach to the rotating base (A17/48) and in “travel” part A15 is used. Part A4 is interesting; it is the spade protector which is used when the gun is fired from its platform so the gun can swivel around the platform without digging in. It is shown in position in Step 5 and stowed in Step 6; note if the gun is fired without using the platform the protector is left stowed so the spade can function. Also note in Step 5 that the items in the cutaway (MA6/7) are apparently mounts for aiming stakes (not provided) that go on the outside of the right side of the box trail; DML’s directions tend to not be as helpful as they could be with parts like this. Steps 6-11 cover the assembly of the No. 27 trailer. This also has some options such as open or closed doors, two removable trays with brass details, and two different styles of hitch to connect to the gun lunette. The wheels even come with separate handbrakes and activating arms. The crew consists of six new figures in the usual DML mold – six parts to each (head, torso, arms and legs) with separate helmets and details. As the gun comes in the North African mold four of the figures are bare-chested and all are wearing shorts and high socks. The gun captain and rammer are in shirts. They are standing with the captain ready to give the fire command and the rammer closing the breech; the gunner is aiming the piece and the three “other numbers” are kneeling with more ammunition. But the “tin hats” do not look right; the suggestion has been made to me they are closer to civilian issue (e.g. Civil Defense or Observer Corps) ones and not the issue helmets used by Commonwealth troops. I tend to concur as they look more like Burgundian helmets from the 14th Century. An odd clunker in what otherwise is a beautifully done kit. The tires are DS Plastic – seamless and of the right pattern when matched with photos. The injection nub is on the inside of the rim and should vanish behind the wheel rim when installed. A tiny sheet of Cartograf decals is provided for the ammunition. Painting directions give two options: Unidentified Unit, British 8th Army, North Africa 1941-43 (sand overall); Royal Canadian Horse Artillery, England 1940 (listed as olive drab but somehow I do not think that is correct). Alas, the latter cannot use the figure set. However, based on the “Firepower” gun – which has been lovingly restored to near original finish - there are a lot of details which need painting and are not called out. I am attaching some photos to make this a bit clearer, but most of the leather bags appear dark brown, the seat is varnished wood, as are the rammer and mattock and shovel handles, and the sights are either natural metal or black. DML needs to pay more attention to painting details. Overall this is a great kit and a very welcome change from panzers. Given the recent standards of DML softskin kits, one can hope for a Quad of new vintage from them to match this set.